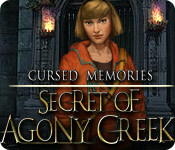 Cursed Memories: The Secret of Agony Creek is rated 3.7 out of 5 by 39. 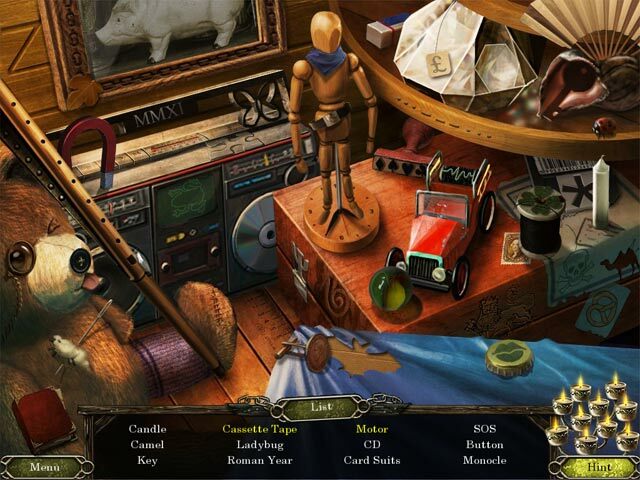 Rated 5 out of 5 by pennmom36 from Cursed Memories: The Secret of Agony Creek SE I actually own this game and this is the third time I have played this game, and still enjoy the plot, puzzles and hidden object games. The story begins with dramatic music, you wake up shackled in an abandoned building with no idea what's happening to you. As panic sets in you hear a cell phone ring and this stranger tells you to escape by any means possible and meet her in the cabin in the woods (yeah right) She also warns that a maniacal cop, Diane Matthews, responsible for the deaths of five people, is after you! Who can you trust if not the officer? See I told you it's a great plot. The graphics aren't the best out there, but they are really good and really creepy, keep in mind this is an older game. There are a bunch of puzzles such as spot the difference as well as more complex games requiring you to mix paints to achieve the correct colors as indicated, but you must fill 2 cans at a time side by side so choose the two cans wisely. 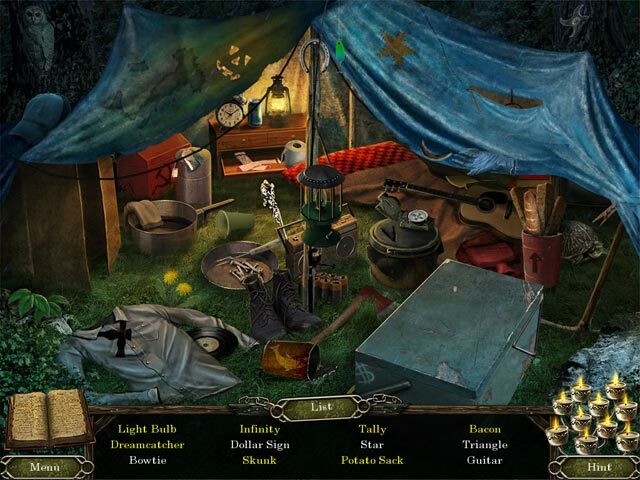 The Hidden Object Scenes are interactive list finds with a whole lot of graves, skulls and abnormal creepy items. Either edition of this game is great but the Collectors Edition does have a built in Strategy Guide and collectible money bags, enjoy! Rated 5 out of 5 by Jem_Jerrica_Guy from a lower graphics grade "Phantasmat" Suspense is the same type with a twist at the end as to who you are. I wanted to keep going until the end. The bonus story for the collector's edition is worth it. Rated 5 out of 5 by Piperfoxx from LOVE IT!! It has everything I like lots of scenes , interaction with the characters speaking as well as all animation NO real people added to take fantasy out of it. And sound! WOW! I took my time just listening to the Rain Fall ( love the rain and storm in games) I'd use it as a screen saver if not for the hidden object bar at the bottom. ha! The scenes themselves where Tops, can't believe I missed Purchasing this game before and will play again and again. Rated 5 out of 5 by Tracy_lynn from What The I thought this would be your average HO game. Let's just say the ending blew me away. I was not expecting that. The HO scenes were okay a few items were a bit hard to find and I did have trouble trying to figure out where to go next. All and All a great game . Rated 5 out of 5 by KimiKanda from Discover the Secret This is definitely a goody. I like everything about this game. 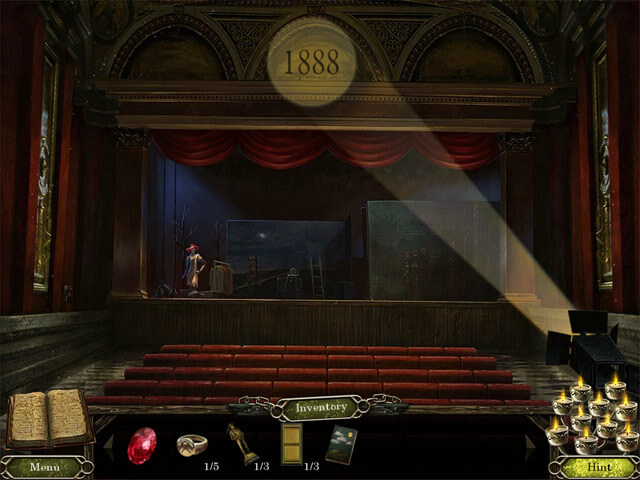 The graphics, music, storyline, interactive play and the extras. Also challenging, searching for clues and items to assist you on your adventure feeling one with the character in the game. "What would you do if you found your self in this predicament?!" I am enmeshed with the character, totally involved. Give me a good mystery anytime. . . . Rated 5 out of 5 by cdminot from Cursed Memories, indeed! This game was absolutely awesome, wish I had purchased CE, might upgrade! Great graphics, great story line, tale of greed, the most elaborate trail for clues; find out what happens to the bad guy! I definitely recommend this game for anyone who loves a good mystery! Game kept my attention riveted throughout! Rated 5 out of 5 by blackadders from A fun game with a brilliant ending! The game is short and isn't too challenging however, it is a fun, interesting and addictive game. Rated 5 out of 5 by pcpat923 from TRULY PHENOMENAL GAME! I guess it's all about what you like. This game grabbed my attention from the start. Clicking away as if that would move me faster! Realistic surroundings. Great artwork. Only problem is--don't know whether to purchase Standard or Collector's Edition. Will play them both. After waking up chained to the floor of a cabin, you must discover the Secret of Agony Creek and escape before it's too late!